24 (More) Awesome Not-to-Miss Silhouette Tutorials! And just like that's it's November...I don't know about you, but October was a blur for me! Between preparing for the All Things Silhouette Conference, launching another booklet and daily Silhouette tutorials, tips and tricks I feel like October flew by faster than normal! 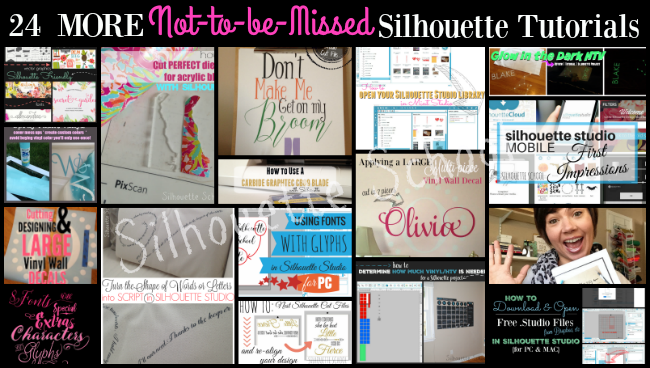 In case you skipped class at all or missed a lesson, here's a recap of all the Silhouette School posts - including tutorials, freebies, and Silhouette hacks - that were shared in October. New Silhouette School booklet..and More Exciting Stuff! Thank you for sharing good ideas here!! it is really helpful content ! !